Trimark’s work environment is rewarding and diverse. We listen to customers. We communicate. We collaborate. We design, assemble and test. We celebrate success – both ours and our customers’! We work on every type of utility-scale electric power generation – from solar to nuclear and everything in between. Our team includes the industry’s foremost experts in power metering and secure data telemetry. Our application developers are building the next generation of systems used to monitor, manage, control and communicate. As a certified small business, we’re nimble enough to deliver practical solutions while others are still trying to understand the problem. At Trimark, we don’t just say “we’ll be there,” we live it. Every day, in every corner of the U.S. If you like being challenged and rewarded; thrive on collaboration and are driven by excellence, apply to Trimark today. Submit your resume to Careers@TrimarkAssoc.com. 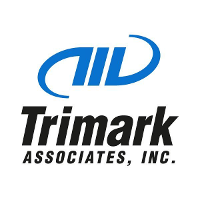 Email me jobs from Trimark Associates Inc.